Please complete the following form to receive the best pricing on used Chevy engine from our nation wide network of used motor vendors! Used Chevy engines are easy to find with ASAP Motors. We use a form that takes less than 1 minute to fill out that helps you find used Chevrolet engines across the nation from Houston Tx. to Los Angeles Ca. Our locator tool will find you a reliable used performance engine for sale, but we also give you direct contact with salvage yards, junkyards and other used Chevrolet engine dealers to provide you the best pricing and service. If you don’t find what you are looking for submit a request and we will find a used Chevy engine for sale that fits your needs. Chevrolet engines are famous for being interchangeable through many of their cars and trucks. The chances of finding a quality used replacement engine are very good. This is a great reason to go to ASAP Motors. 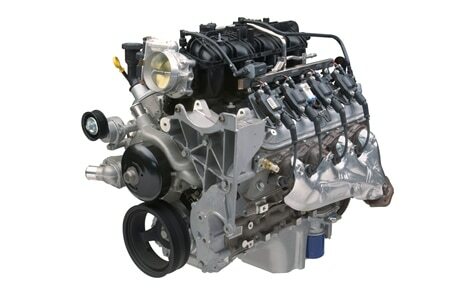 Here we provide a forum for you to locate and purchase used Chevy engines for sale from different suppliers. The more available the engine, the better the chances are engine sellers compete for your business. The more engine sellers compete, the better chance you have of buying a used Chevrolet engine that is tested, cleaned and packaged ready for shipping. Not to mention that competition always lower the price. Our site can locate most any Chevy motor including the Chevy Truck, Chevy Impala, Chevy Cavalier and the Chevy Malibu just to name a few. Simply go to the top of this page, using the drop down boxes fill in the year and make for your car. That will land you on our motor request form. Fill in the required boxes, there are about 8 total and it only takes about 1 minute. Fill in the phone number box if you wish to be contacted by phone. Then click the “give me a price” button and watch your inbox start to receive information and quotes. If you sent your phone number, the phone will start ringing with offers in just minutes. At this point you are in control of whom you contact back and who you do business with. Let the sellers compete for your business that is always in your favor. Make your decision and get your used engine ordered. Remember this is a free no obligation service, if you end up purchasing an engine or not. It’s up to you. Happy Motoring! The Chevy Corvair was produced by GM from 1960 to 1969. At the time of launch, two models of the Corvair was unveiled; the Corvair 500 and the 700…. The Chevy EV1 is an electric vehicle and is powered by a 3 phase AC induction motor with an IGBT power inverter which produces 137 HP at 7000 rpm…. The Chevy S-10 pickup truck that went into production in 1982 as an economy minded vehicle. A high performance version of the same was made in 1991…. Used Chevy Silverado 2500 engine can easily be found at ASAP Motors. Just take a few moments to fill out our form and it will send it out nationwide….